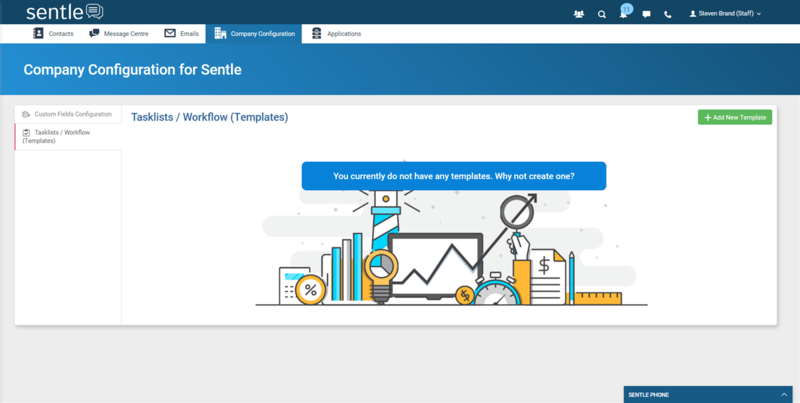 Templates allow you to conveniently save any commonly used task lists so that they can be easily assigned to new or existing contacts. The template manager is located by first selecting the ‘Company Configuration’ tab and then choosing Task lists/Workflows (Templates) from the left hand menu, as shown on the following screen. Select ‘Add New Template’ to access the set up screen. Within this screen you are able to name your template and add a description for future reference. 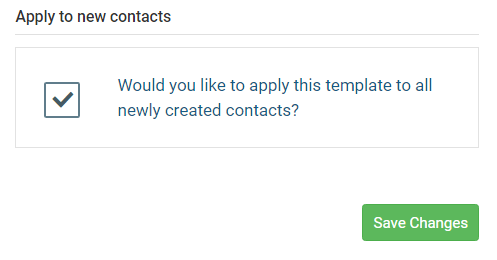 You can ensure that any new contact is automatically assigned the task list by checking the box highlighted here. Select ‘Add New Task’ to move onto the next stage where you can start building up your task list.